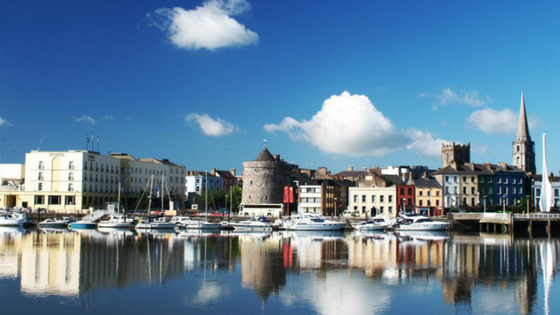 Waterford is the oldest and one of the most populated cities in all of Ireland. Founded by the Vikings long ago, it is a great place to explore and discover history, friendly people, and find some great food. 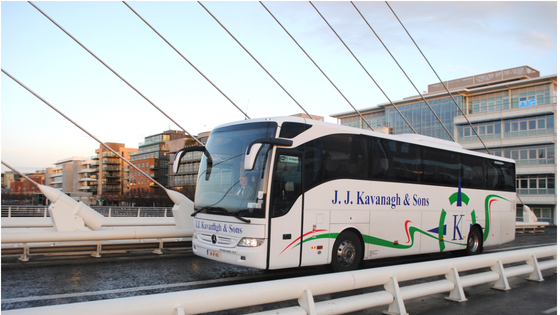 I began my day in Dublin and caught an early JJ Kavanagh & Sons coach to Waterford. Prior to my visit, I had done some planning and knew I wanted to look into the Medieval Museum, followed by the Epic Tour of the Viking Triangle, and ending with a needed bite at Momo Restaurant. The welcoming hospitality from my JJ Kavanagh & Sons driver got my day rolling and provided for a fantastic start to my adventure. Upon arrival in Waterford, I visited the Medieval Museum for the tour around the historical building in which the museum is built. I highly recommend taking a guided tour as the tour guide was very informative and went over a tremendous amount of the extensive history of Waterford. The items on display in the museum are truly astonishing! Not only do you get to see where the priests ate their meals together underground, you also get to see what they were eating. Animal remnant’s such as kneecaps, Vertebrae’s, Jawbones, etc. are left underground on display for viewing. The museum itself is full of ancient artifacts! You get to see Henry VIII’s hat and the charters granted to the city. Even if you don’t have too much interest in medieval history, you will be more than satisfied with what you get out of this tour. I really liked how they gave us the option to go back through the rooms in which the tour took place in order to get more time to see the items that were appealing to each person individually. 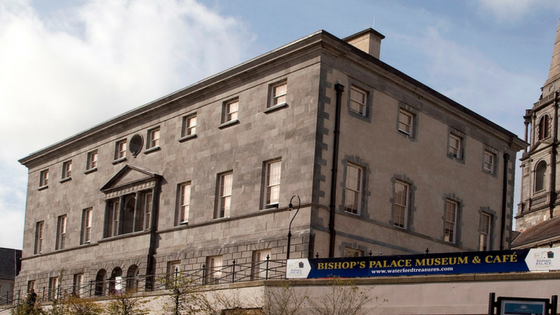 If you are ever in Waterford and are interested in history about the city, I highly recommend this museum. The Epic tour of the Viking Triangle was a fantastic way to spend an hour of the sunny afternoon. With only a few clouds in the sky, it was a perfect day to go on a walking tour through this beautiful Irish city taking in both the views and smells of the nearby sea. Our tour guide had a great sense of humor and knew just about everything you wanted to know about Waterford, bringing a great deal of the history to life. It truly was a wonderful tour to get you actively involved with the history of the city. 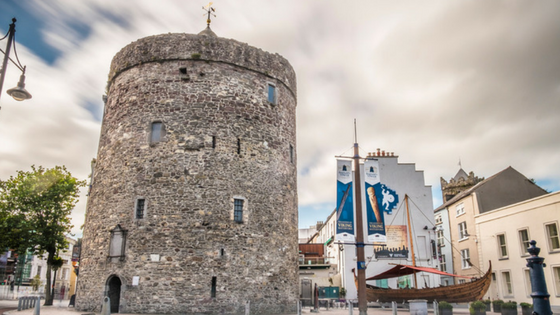 From learning about the Vikings to Reginald’s Tower, and taking in much of the 18th century architecture, I found Waterford to be a great city for exploration. I enjoyed the views of the city as well as some of the historical landmarks including the Bishop’s Palace, Choristers’ Hall, and the Church Cathedral. I would highly recommend investing your time into this tour to get a great understanding of this historic Irish city. You will not be disappointed. After completing the tours and my exploration of the city, my next stop was at the delicious Momo Restaurant. From the moment I first walked in, I was treated to great service, which is something that really stood out for the rest of my time there. 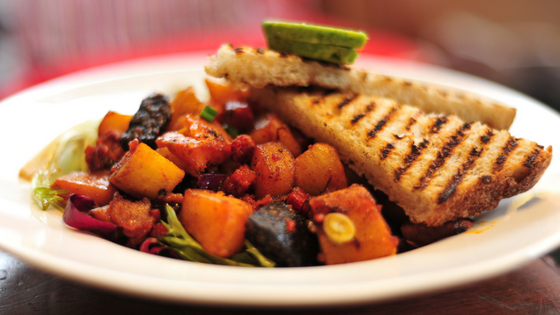 The menu had a wide variety of healthy options as well as some of the best food Ireland has to offer. With that said, after my few hours of walking, I felt I deserved to treat myself with the fish and chips. The food was amazing, fresh, and got me rejuvenated for more activities! If you are ever in Waterford and are in need of a good bite, I would highly recommend this restaurant. This meal and staff were delightful and I thoroughly enjoyed every bite! The excellent service to and from Waterford made for a well worth trip. The Wi-Fi was perfect both ways allowing me to use my phone as I pleased. One thing I noticed about the JJ Kavanagh Coaches compared to some of the other coach services I have utilized is the luxurious amount of room you have, which makes for a very comfortable ride. Our driver was on time which allowed myself and the other riders to reach their respective destinations at the hours designated in the timetable. If I were to go back to Waterford via Coach, there is only one way I would choose to travel. JJ Kavanagh & Sons IS my choice for service, timeliness, and comfort. JJ Kavanagh & Sons have 13 bus services daily to Waterford City from Dublin City Centre daily from as little as €10 single.